Posted on: July 15, 2015 By: Christopher Brown, Esq. 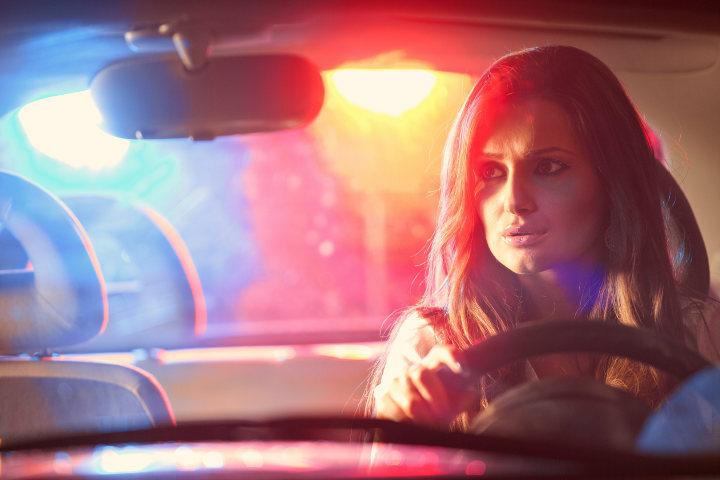 You may have successfully talked your way out of minor tickets in the past including speeding tickets or minor traffic violations, but if you’re stopped for driving under the influence (DUI) talking can make the situation a lot worse for you. You should never operate any vehicle if you have been consuming alochol. However if you are stopped for a DUI, you should be aware that any information you provide may have negative results later on. Always be cooperative, but don’t put yourself into an unwanted situation. If you have received a charge for a DUI or DWI in Virginia, always work with a qualified legal professional who can utilize DUI and DWI Defense Strategies during court proceedings. The first statement in your Miranda Rights is “You have the right to remain silent.” Imagine this: You’re on your way home from an after-work gathering. It’s near midnight when you are pulled over. As the officer steps up to your window he shines his Mag-Lite over the interior of your car. You know he is looking for any evidence that might give him the right to search you. His first words are “Do you know why I’ve stopped you?” Your cooperative but short answer should be “Why?” Remain calm, polite and attentive. Do not guess what you may have done wrong as this implies guilt. Do not argue, comment or try to come up with excuses for anything the officer says. The second statement in the Miranda is a reminder that anything you say can be used against you. Don’t be fooled into thinking it’s safe to offer up information or excuses. Anything you say can lead to your arrest and be used in court. In the above scenario, the officer has asked for your license, registration and proof of insurance and returned to his car to check your background. When he returns to you he asks, “Have you been drinking this evening?” or the more dangerous, “How many drinks have you had this evening?” If you only drank soda with your co-workers at the bar, simply answer truthfully, “no” or “none”. If you have had anything to drink, even half a beer, you should instead decline to give any statement. If you admit to having any alcohol, you will be arrested. If you refuse to give any information you may or may not be arrested, but if you are arrested it may later be deemed an unlawful arrest. Any admission you made is grounds for arrest and will be used against you. “I’m not drunk, I only had one drink.” – This is an admission that you have been drinking, and that is a problem regardless of the amount. Since you can’t really know if your blood alcohol level is over the limit the officer will have to ask you to do a sobriety test. “I don’t usually do this, but it was a special situation.” – Again, you have just admitted you did drink. Although you may think an officer will understand it’s a special occasion they don’t care what the excuse is, only that you have admitted you were drinking before you decided to drive. “I was responsible and arranged a designated driver, but when they left I had no choice.” – Once again an admission of drinking, and since intentions and plans don’t matter you will still be judged on the fact that you did drink and you did drive. A Virginia police officer cannot be sympathetic to any of these explanations. Everything you say may be used to prove your guilt. You may think you are helping yourself but you are probably harming yourself more. If you have been drinking you should say you are not going to make any statements until you are able to consult with your lawyer. If you find yourself in this situation, The Brown Firm PLLC can help. We have high quality DUI defense attorneys with years of experience in creating effective defenses, using any grounds available to have charges dropped if appropriate and negotiating on your behalf for a lesser penalty. Call our offices or contact us online to set up a free consultation to discuss your case.